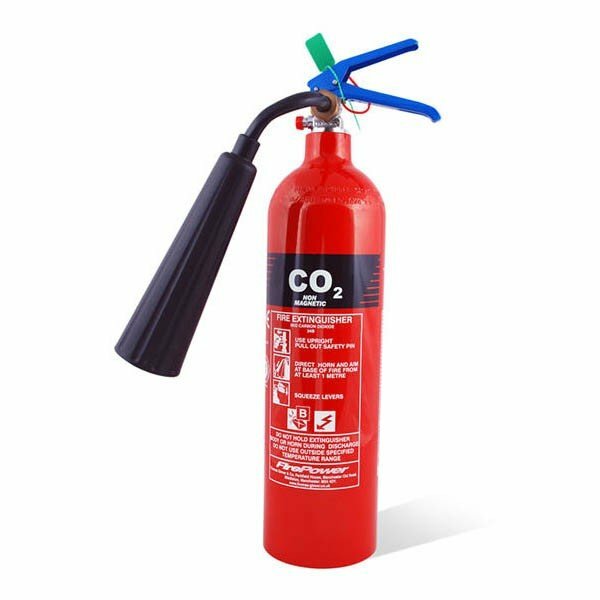 Specially created for hospital MRI (magnetic resonance imaging) scanner rooms and nuclear magnetic resonance spectrometers (NMR's), this 2kg CO2 fire extinguisher is totally non-magnetic and anti-static with a special valve and fittings. Carbon dioxide fire extinguishers are, by far, the best extinguisher for use on electrical items and leave no mess or damage. You can click this link to see the whole CO2 fire extinguisher range.